It’s finally here! You’ve been patiently waiting for that special envelope to show up in your mailbox and today is the day. Your firearms license has arrived and you’re ready to head straight to the gun store to buy your first gun! Now, maybe you’ve been researching and trying out different firearms and are 100% sure which one you want. Orrrrr…maybe you’re like me and did some research and shot a few rounds through a couple different contenders before handing over the debit card and completing your first ATF Form 4473. When I went into the gun store for my first gun, I was specifically looking to buy a semi-automatic sub-compact single-stack 9mm. Wow, that’s a lot of hyphens. Here are a few things I wish I had known on that glorious day when I bought my first firearm, which turned out to be a Ruger LC9S. 1. I don’t like a ramped rear sight for my carry gun. I didn’t learn this lesson until my first one-handed operation class. In this class we load, holster, draw, reload, re-holster, and clear malfunctions all with just one hand. In order to do all those things, it is extremely beneficial to have a rear sight that can catch on something like a holster, your belt, or the heel of your boot in order to manipulate the slide. My Ruger LC9S had a ramped rear sight. This means that the rear sight comes up at an angle, which makes it pretty damn near impossible to catch on anything. 2. The slide-stop on the LC9S doesn't release the slide. Another lesson I learned during my one-handed operation class. With a ramped rear sight and no slide release, it’s impossible to operate the gun with just one hand. Now, I normally slingshot the slide rather than using a slide release, but I would like to have the option. 3. Take your time in finding the right carry gun and try as many as you can. I was so excited and ready to start training with my carry gun that I didn’t try as many as I should have. I compared 3 guns with maybe a total of 50 rounds and decided that was enough. Can you fire a string of shots and still maintain a grip on the gun? Granted, training with your firearm will greatly improve your ability and your grip strength can be something you work on. Recoil: I found the LC9S to be more snappy than the Shield. The bore sits a bit higher on the LC9S which makes controlling recoil a tad more difficult, especially when shooting one-handed. Trigger reset: While the stock trigger on the LC9S is smooth, my Shield has a much shorter trigger reset. This means that after I press the trigger to fire my first shot, the trigger on my Shield travels a shorter distance forward before I can press it again to fire my next round. The trigger reset on the LC9S is seemingly nonexistent, so the trigger needs to be let almost all the way back out before firing the next round. (Note: I had an apex trigger kit installed in my Shield immediately after purchase due to MA trigger regulations. This made the trigger much more crisp and allows for a shorter reset). 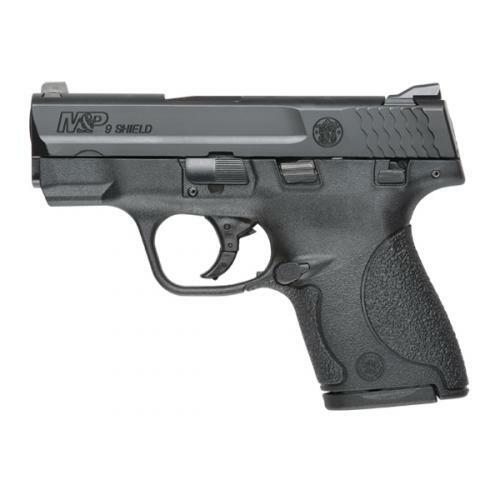 Magazine options: The LC9S allows for 7 or 9-round magazines, whereas the Shield allows for 7, 8, or 10-round magazines. · Is ammo cost a factor for you? All calibers come with different price-tags. · Which size gun do you shoot best (not necessarily which gun can you conceal easily)? · Why are you choosing this particular gun (did someone else tell you it’s right for you)? · Are you planning on competing someday, perhaps with a full-sized firearm? You may want to consider the full-sized counterpart to your carry gun so that the muscle memory and operation are similar. The gun you choose to carry is your own personal choice. I ended up changing my carry gun to a 9mm Shield and love it. If you find yourself regretting the purchase, you can usually sell it for a better fit! Try a bunch and take your time. You’ll learn much more as you train. Train train train! It’s the only way to know if you can rely on it to defend your life.